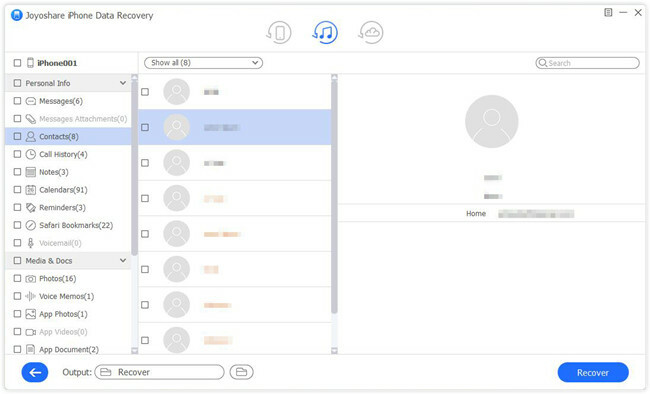 It is common universal phenomenon for iPhone users to find deleted iPhone contacts from created backups. If you're in trouble like Addison, don't lose your head. Take it a simple thing, ask solutions from professional forums, or adopt measures here to restore iPhone Contacts from iTunes in the way you like. Have a careful check for each way you learn below and make comparisons before recovery. Step 3: Check all iTunes backups you have and get the most relevant one selected; click on "Restore" button to recover deleted iPhone contacts from this iTunes backup. 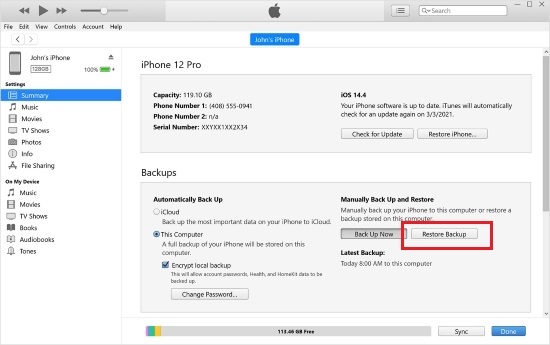 Note: This method is straightforward and easy to use, which restore iTunes backup soon. But, you should pay more attention to its shortcomings here: 1) it will replace your previous iPhone data; 2) there is no preview feature before retrieval; 3) it can only restore the whole iTunes backup rather than partial designated contacts data. Thanks to the top-leading data recovering technology, you can at present get your deleted iPhone contacts off iTunes backup in a professional manner. 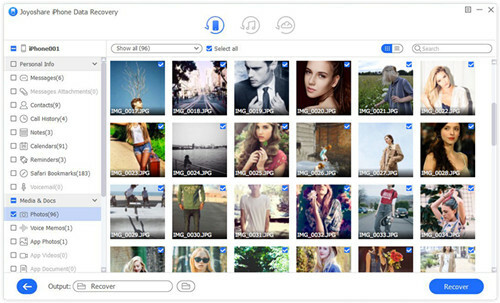 What you have to do is to turn to a decent software, Joyoshare iPhone Data Recovery, for assistance. It is able to act as a medium to well protect both deleted and existing data on your iPhone. Namely, it will not overwrite and damage any iOS data file. In addition, this outstanding program even has a good performance in scanning and decrypting data files at super-fast speed. Unlike others, it will not take up too much disk space. Most of all, you can benefit a lot from its real-time preview, selective recovery, broad compatibility, etc. Actually aside from contacts, it has ability to restore over 20 iOS data types from all possible data loss situations and offers option to support the latest iOS 12 and iPhone XS/XR. Next, you can go to learn how to retrieve contacts from iTunes backup without iPhone. 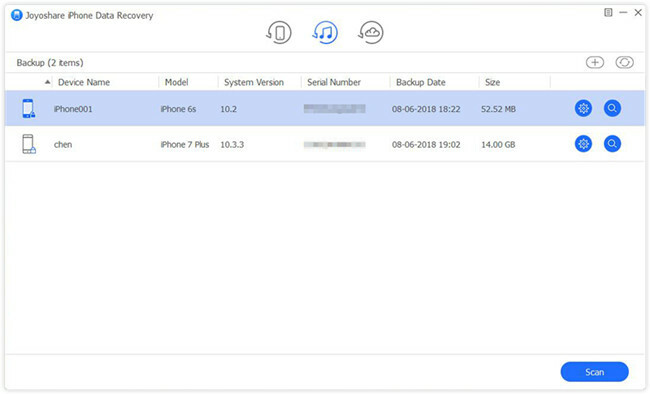 Download and install Joyoshare iPhone Data Recovery on your computer and refer to this quick guide. 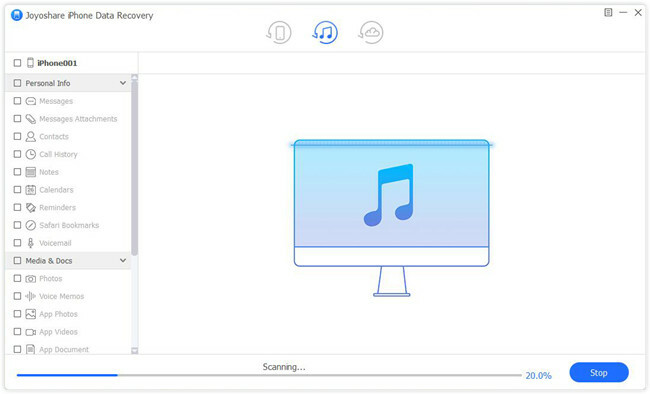 Simply launch Joyoshare iPhone Data Recovery and navigate to the top menu bar to choose recovery mode as "Recover from iTunes". Joyoshare will directly detect your local iTunes backups from computer folders and display them in a list with complete info. Pick up the recent one you back up to iTunes with deleted important contacts. Tap on the "gear" icon beside it and check data types you would like to recover, such as "Contacts". Then continue to click on "Scan" button. You have to wait for a while until the scanning process comes to end. Then all recoverable contents will be classified and listed to corresponding categories in the left column. Go ahead to "Contacts" to preview each item one by one, filter out undesired data by selecting "Only show the deleted", or have a quick search with search box. Once you have ticked what you need, you can click "Recover" button to save them to computer.